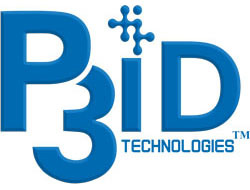 Features - P3iD Technologies, Inc.
A full range of solutions and services for your business needs. Reduce operational costs, enhance client experiences and create a competitive advantage by automating business process workflows. Allow employees, as well as, clients to communicate easily, effectively and securely. A complete suite of automatic metadata extraction tools helps to provide insights into your business operations, in real-time, in order to make well-informed decisions. Robotic Process Automation surfaces valuable data, typically trapped on paper documents, and presents them is informative graphs, charts, and tables for easy understanding. Integrated into one complete platform, P3iD Business Efficiency Center allows organizations of all sizes to design the proper business workflow to fit their specific requirements, yet also stay within budgets. Organize all your business information for easy searchability, to enforce security and provide audit trails. A full suite of dashboard visualization tools including charts, graphs, and tables. Secure on-premise Active Directory authentication without any inbound port forwarding. Save time and expense by creating automatic workflow processes to complete tasks efficiently. Improve cash flow and reduce operational costs by automating the data entry of invoices. Speech recognition to make capturing or editing your electronic documents simple and easy. Keep your documents organized with classification to enforce policy, kickoff workflow or better searchability. Securely store data at rest with encrypted and randomly segmented objects across hybrid environments. Extend the capabilities of our platform through contributing or consuming, our valuable API’s. Sometimes, the most obvious way to make your business better isn’t so obvious. Together, the experienced P3iD team, as well as our innovative technology, forms the right combination that affords your business a tangible return on investment, with our business process automation workflow expertise.